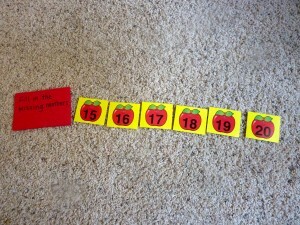 Calendar numbers make it super easy to build math skills such as number sequencing. I like to use calendar numbers because they are thematic according to the month or season, which makes building vocabulary relevant to the month we are in easier to weave into conversation as we are working with the numbers. 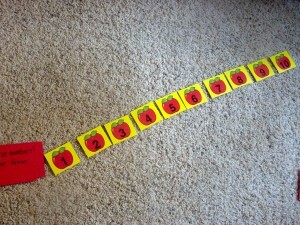 Because the numbers in the calendar number set go up to 31, you have a good range of numbers to work with in a variety of easy to assemble station activities. 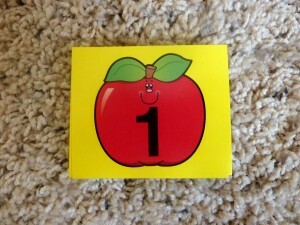 Using an index card, cutout, post-it note or even a piece of scrap paper to write some basic directions helps tremendously with a sequencing activity. 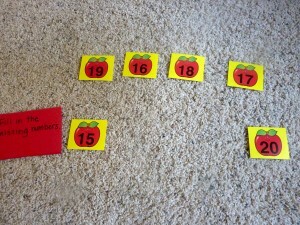 My Obstacle Course Station Activity: Fill in the missing numbers. 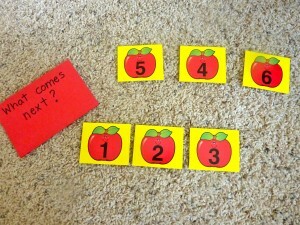 My Obstacle Course Station Activity: What comes next? 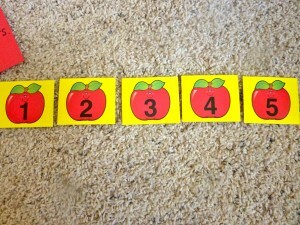 For this activity, I begin the sequence of numbers and mix up the number choices above. 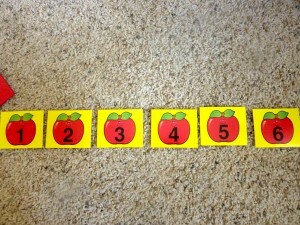 This could be made more advanced by using a number pattern, such as 1, 3, 5, and have the child figure out what comes next – 7, 9, 11. 4 comes after 3. What comes next? 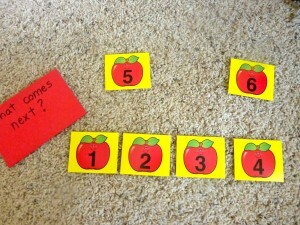 My Obstacle Course Station Activity: Putting numbers in order from 1-10. 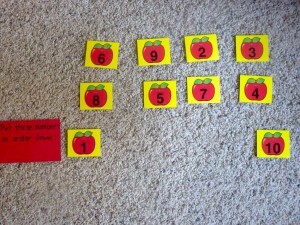 My Obstacle Course Station Activity: Put these numbers in order from 1-10. Numbers filled in to have numbers in order from 15-20. 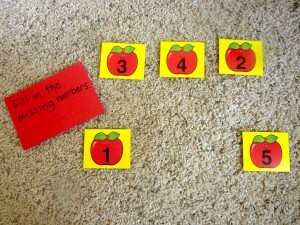 Ordering and sequencing numbers skills are important for building a strong math foundation. Using something colorful that children can manipulate with almost no preparation time on your part helps make it a great station activity that children are more likely to engage in.